One thing about Hawaii - once you visit, it always seems to be on your mind, calling you to come back. The intense beauty of both land and sea, the flower scented trade winds, the inherent feeling of relaxation and peace linger on far after you return to your real world. Hawaii continues to be one of the world's most popular destinations with Americans leading the pack - about 6 million of us visit per year. Japan is second with 1.3 million visitors and Canada third at 800,000. Many are repeat visitors and many are owners or renters of timeshare. Timeshare is ideal for Hawaii vacationing. Visitors often stay anywhere from five to seven days on an island, and Hawaiian vacations often include multiple island stays, particularly for first time visitors who want to get a little taste of each island. Joe Toy, president and CEO of Hospitality Advisors, says that "after about eight visits, vacationers start to look at timeshares as alternative accommodations instead of hotels." Fortunately for them, there are timeshares on every island. Vacationing in Hawaii is often a family event with parents, children, and other family members, or friends too. Timeshares have multiple bedrooms, multiple baths, and extra living space to accommodate groups. Families often need to economize and timeshares always have a kitchen for cooking meals to avoid the cost of dining out. Included balconies and patios not only provide great views, but also add additional space. Timeshares offer conveniences such as washers and dryers, free parking, and concierge service. Generous onsite amenities include swimming pools, fitness centers, family activities, beach equipment and more. Each island has its own unique characteristics and each has a variety of timeshare accommodations from luxurious to economy. Oahu makes up about half of the state's tourism market. Waikiki, with its storied past, is a big draw for Oahu, as is the historical Pearl Harbor. Though you'll find timeshares in Waikiki, it's nice to get further away from the tourists. Visit the world-famous surfing havens of the North Shore, or the beautiful beaches of Ko Olina where you’ll find Marriott's Ko Olina Resort and Disney's Aulani perfectly positioned on the leeward coast of Oahu. Both feature multiple pools, golfing, water sports, spas and five-star dining. For an exceptional timeshare experience, Maui has it all. Visitors are drawn to the gorgeous Ka'anapali Beach, historical Lahaina, the many spectacular trails of Haleakala National Park and the precarious highway to Hana. Those who prefer luxury accommodations head to Ka'anapali to Hyatt Ka'anapali Beach where owners enjoy all the fabulous amenities of the Hyatt Regency Maui Resort & Spa. For affordable accommodations with all the comforts of home try the Sands of Kahana Vacation Club or Kahana Beach Resort on Maui's west coast. The intense verdant beauty of the "Garden Isle" of Kauai is for those who enjoy a laid-back vibe and utter serenity. Friendly locals give visitors a taste of community life with farmer's markets, art walks and festivals open to all. Helicopter rides, kayaking, golfing, snorkeling and tours to the many movie sites are popular. Brave souls test their hiking skills and bravery on the ruggedly beautiful Napali Coast. The North Shore's Princeville, greener and wetter than other areas, is home to the popular timeshare resorts of Hanalei Bay Resort and Weston Princeville Ocean Resort Villas. The South Shore's sunny Poipu has the incredibly upscale Marriott Waiohai Beach Club - even if you can't afford to stay there, a walk-through is a must. Home to volcanos, lush green coffee plantations, and calm, clear waters perfect for snorkeling, Hawaii, the "Big Island" is less visited than the others mentioned, but continues to grow in popularity. Offering affordable timeshare accommodations in Hawaii's main town of Kona, is Kona Islander. It has a great location across from a sandy beach, ocean views, and a short walk into Kona to restaurants, shops and nightlife. 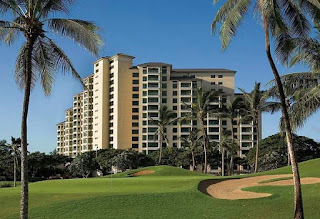 The more upscale Hilton Grand Vacations Club is located in the heart of picture-perfect Waikoloa. A haven for golfers, visitors also have an opportunity to visit an active volcano, a working coffee plantation or just relax beside one of the many gorgeous pools. Jamaica's Ministry of Tourism is pushing for more timeshare in the country. It's part of a long-term growth strategy to diversify Jamaica's tourism product, increase tourism, and favorably position Jamaica's tourism industry among its global competitors. Revenue estimates for global tourism indicate that the timeshare industry has consistently been one of the fastest growing tourism segments. 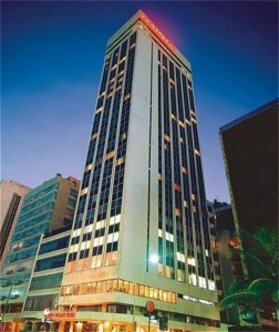 In a recent article in the Jamaica Observer, "Timeshare: Big Possibilities for Jamaica", Edmund Bartlett, Minister of Tourism, said, "the ministry plans an aggressive focus on tapping new innovations, products and trends in global tourism to boost Jamaica's appeal to more tourists from both traditional and non-traditional markets." It aims to keep pace with the global tourism trend of more segmented accommodations and services catering to the specific needs, wants or preferences of individual travelers. Bartlett sees timeshare as a perfect product to help achieve the ministry’s overall goals. Though demand for Caribbean timeshare resorts among international tourists is greater than any other region in the world, Jamaica's share of the regional timeshare market is currently less than one per cent. According to Mr. Bartlett, one of the main reasons Jamaica's timeshare has lagged behind the other islands was an absence of a statutory framework. Now, with Jamaica's new Timeshare Vacation Act, enacted in May of this year, the country has a modern regulatory framework that lays the foundation for the country to make significant gains in timeshare development. The Caribbean is a great timeshare destination for good reason. Its many gorgeous beaches of white sand and aquamarine waters, lush tropical landscapes, perfect weather, and variety of experiences, are the answer to every vacationers' dreams. Family-friendly vacations or romantic getaways can be equally accommodated. If you can't find your perfect activity, you're not looking very hard. The majority of timeshare resorts can be found in Aruba, Bahamas, Puerto Rico, the Dominican Republic, and Jamaica. Occidental Vacation Club, Hyatt, Wyndham, Westin, and Marriott are just a few with a major presence in the area. ARDA, the American Resort Development Association, is making sure that these timeshare island paradises are protected. In 2008, ARDA-Caribbean was formed in response to the high demand as a travel destination for timeshare developers and owners. ARDA works collaboratively with local governments to ensure they have the tools to develop and maintain a healthy timeshare marketplace. The most important tool is to ensure appropriate timeshare laws and regulations to establish a framework for the growth of the industry while also protecting the owners' interests. ARDA-Caribbean supported the Jamaican government as they worked to develop their timeshare legislation. 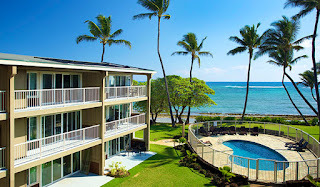 Kauai Kailani, the U.S.'s first timeshare. With all the attention given to home sharing services such as Airbnb, HomeAway, and others, one would think they had originated the concept of the sharing economy. The truth is timeshare started it all. Timesharing began in the mid-sixties in Europe with a French ski resort. It offered the new concept of selling units for vacationing and used the slogan, "No need to rent the room; buy the hotel, it's cheaper." The first timeshare in the U.S., Kauai Kailani, began selling units in 1969. As timeshare grew in popularity, the concept of timeshare exchange was added. In 1974, RCI led the way by helping owners trade their week at their resort for a week at another resort. In the early 2000's, online timeshare rental companies such as RedWeek (now the largest online site), provided another benefit to owners, a safe and easy way to rent their timeshare. Timeshare revolutionized vacationing by giving vacationers more flexibility and control over the way they vacationed. Though companies like Airbnb and Homeaway have many fans, there has been criticism about these companies. The risk of booking through peer-to-peer listings, the lack of regulation and guarantees on what the host is like, or whether the properties meet safety requirements are a few of the issues. Recently, San Francisco's Board of Supervisors hit the home-sharing industry with a new bill requiring home-sharing services to remove listing for units that are not registered with the city's Office of Short-Term Rentals. The bill allows the city to fine sharing services not registered with the city, up to $1000 per listing. A study from financial services firm, Canaccord Genuity, says other cities are likely to follow San Francisco’s example resulting in a significant reduction of listings for these companies. Though timeshare and sharing services both share some of the same concepts such as a variety and diversity of destinations and residence types, there are advantages that only timeshare offers. A big one is knowing what you are getting - the consistency of brand product, brand experience, and level of service that well-known timeshare companies such as Westin, Hilton and Marriott can be counted on to deliver. Timeshare resorts are owned and run by professionals, they have strict standards for accommodations and traveler experiences. They follow safety regulations and tax laws. Home sharing services may not even be aware of these practices and many sharers have no experience in the hospitality industry. Another advantage of timesharing is the family orientation. Children who have grown up with a positive relationship of timeshare often carry on the legacy. One professional who sees a positive alignment of timeshare and sharing economy alternatives is ARDA President and CEO, Howard Nusbaum. He sees them as potential distribution channels when listings comply with timeshare standards. In a recent article in Hotel Management, he was quoted, "Homeaway and Expedia are members of ARDA. We have a program through VacayStay Connect where timeshare resorts can list their product on those sites and harmonize it with them, and I think we offer a better environment because you're not seeing somebody's family pictures, you don't feel like you're invading somebody's privacy, you don't have to worry about cleanliness, or health, or safety, and you still get that condo environment." For more information, please visit www.hotelmanagement.net. Owners and industry professionals are aware of timeshare's benefits to the consumers, but timeshare also has a huge impact on both local and national economy. The recently released report, 2016 Economic Impact of the Timeshare Industry on the U.S. Economy, from ARDA International Foundation's (AIF), provides impressive figures on the actual size of timeshare's impact. "It is not just the vacationers that benefit from the timeshare industry," said Howard Nusbaum, president and CEO of ARDA, in a recent press release. "This industry has a huge impact on local economies through jobs, spending by vacationers, and taxes." The report, conducted by Ernst & Young, illustrates that timeshare's influence on the U.S. economy goes far beyond timeshare resorts. It includes the sales and marketing offices, corporate operations, construction of new resorts and renovation of existing resorts. It has significant effects on vacationers’ expenditures during timeshare stays. Here are a few of the highlights of the report. Everyone in the timeshare industry has real reason to feel proud of these achievements. Not only does the industry provide millions of people a perfect vacation year after year, and many private sector benefits, it also provides substantial tax contributions that are a source of revenue for federal, state and local governments - $10.2 billion in 2015, a 21% increase over 2013. Many of us have always had a romantic image of Brazil. When the song "The Girl from Ipanema" came out we were seduced by thoughts of long lazy days on gorgeous beaches, with azure oceans and swaying palm trees, and nights of partying carnival style to throbbing Brazilian beats. But recently, our pleasant thoughts have been intruded upon by what the press says is reality in Brazil - Zika Virus, pollution, a high rate of street crime and corruption, and the recent impeachment of Brazil's president. This year's chaotic Olympic Games have added more fuel to that tarnished image. Some Olympians have refused to compete in the games because of the doping scandals (no fault of Brazil), and the substandard facilities for athletes—clogged toilets, leaking pipes and exposed wires in the athletes' accommodations (definitely a Brazilian problem). The boa constrictors, crocodiles, capybaras and burrowing owls on the Olympic Golf Course have not helped. So far, hotel and airline bookings have suffered, but last minute demand from regional and international buyers is expected to bolster sales. Amidst the negativity, Brazil still remains a beautiful place of vast natural beauty, and the joyful spirt of Carnival prevails. With its many attractions - the vibrant nightlife, music and food of Rio, the great Amazon River and its wildlife, the pristine white beaches, and the clear, calm waters filled with colorful sea life - Brazil is still a popular destination and not to be missed. Throughout the enormous country there are paradisiacal landscapes, astounding rain forests, exuberant activities to try, and an impressive culture to explore. There is something for everyone to enjoy in Brazil. With all that Brazil has to offer it’s an excellent choice for a timeshare vacation and timeshares offer the perfect accommodations for staying there. They are usually more spacious and often more luxurious than a hotel room, and outfitted with kitchens, living rooms and multiple bathrooms. A family or group of friends can stay for weeks in complete comfort and also save money. Onsite amenities offer great perks - concierge service, pools and spas, laundry facilities and the ability to communicate with other timesharers who offer valuable suggestions and insider tips about activities, restaurants and the customs of the country. A good place to start your timeshare search is exchange and rental sites, as well as user group sites like RedWeek, of course! As an example, one of the resorts listed on several of the sites was the Marina Palace, a high rise rated 4 ½ stars, located in an upscale section of Rio across from Ipanema beach. It's family friendly, loaded with amenities and near to many attractions. Westin, Sheraton and Starwood have resorts in Rio and other cities across Brazil. You’re sure to find just the right timeshare for your Brazil vacation. It seems that for most industries, reaching youth and diversity demographics are at the top of their marketing efforts, and many think that millennials are the most important demographic influencers to reach. Even politicians consider it a primary concern - Ivanka Trump, a millennial woman herself, introduced her father at the convention last week. Early in her speech, she emphasized that as a millennial, she doesn't follow the status quo, but votes her conscience. 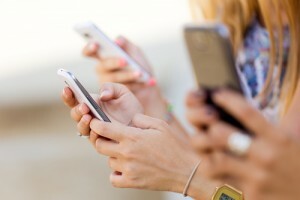 Companies are eager to understand the traits of and quirks of millennials. Taco Bell recently incorporated a company feature at its headquarters called, "Millennial Word of the Week". The words are curated by a group of employees in their twenties. The purpose - to keep its employees up on the lingo of Millennials to better communicate with their young customers. Timeshare is no exception to the trend. Our industry is also reflecting a different age and diversity. The profile of the new owner has changed. Information from ARDA International Foundation's (AIF) newly released Shared Vacation Ownership Study shows that new owners are younger, have higher-incomes than current owners, and are more culturally diverse. Howard Nusbaum, president and CEO of ARDA, attributes the increase in timeshare sales (another positive in the study) to the new owners, "While existing owners continue to enjoy the lifestyle and purchase more timeshare, it's the new owners that are responsible for the majority of qualified sales". Age: New owners are nearly 10 years younger than typical timeshare owners. Millennials actually give way to Gen X'ers here. Millennials, with a median age of 39 years, represent 30% of new owners. Gen X'ers represent 39% of new owners. Ethnicity: Forty-two percent of new owners are African American or Hispanic. Education: New owners are highly educated. Seventy-two percent are college graduates and 23% of those have graduate degrees. Income: The new owner has a median household income of $94,800 and disposable income to spare. Forty-seven percent made just a single payment to cover their purchase. Fifty-seven percent spent $10,000 or more on their timeshare. Value: New owners are savvy consumers. They value long-term vacation savings and flexibility in timeshare. Thirty-six percent purchased timeshare to save on vacations and 31% bought for the flexibility timeshare offers. Seventy-five percent had some form of interaction with a timeshare resort before purchasing including staying as a guest at the resort where they bought or rented first. Before making a decision 35% attended multiple sales presentations. Find more information at www.arda.org/foundation. State of the Industry: 6th Year of Growth! The 2015 numbers are in and we are pleased to announce another great year of substantial growth in our industry! Here are some highlights from the 2016 State of the Timeshare Industry Study conducted by Ernst and Young for ARDA International Foundation (AIF). Sales volume rose by nine percent in 2015 from $7.9 billion in 2014 to $8.6 billion in 2015. That’s the second largest increase percentage-wise since the recession! In 2015 there were 1,547 timeshare resorts in the U.S. representing about 200,720 units. The average resort size was 130 units. Occupancy rates were up to nearly 80 percent, a two percent increase. In comparison, the hotel occupancy rate was only 66 percent. Vacationers are loving their timeshares! That's a nine percent increase over 2014. Howard Nusbaum, President and CEO of ARDA was thrilled with our industry's performance in 2015 and said in a recent press release, "Timeshare offers a flexible vacation experience anywhere in the world. And with over 70% of the properties being two or more bedrooms, families are enjoying the space for everyone to actually relax and the privacy for individual or group time while on vacation." Here’s a quiz to test your knowledge of the industry and see if you know the answers to some of the other interesting findings from the study. Don’t look at the answers before you choose! What is the most common type of resort? Which resort has the highest occupancy? What state has the most resorts? What state has both the highest average occupancy and highest maintenance fees? What region has the lowest average maintenance fees? What state has the largest resorts? For even more information, see ARDA's State of the Industry infographic at www.arda.org/foundation.